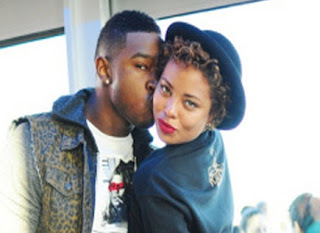 America's Next Top Model alumni Eva Marcille is expecting her first child with songwriter boyfriend Kevin McCall. The pregnancy was confirmed earlier this afternoon via BET.com. The model/actress is five months pregnant and says, "Being able to bring a life into the world is every woman's dream but for me it's more than just a dream it is a magical, mystical journey which I get to share with this amazing man." Get a similar style hat like Eva's from Nasty Gal. Hi Athena Thomas, next update where? i hope your baby now 2 years old!